In the past couple of years, institutional investors have been pushing public-listed boards harder and harder on diversity. Why? It is certainly not about political correctness. It is business. Both investors and CEOs alike are now convinced that appropriate diversity on boards will substantially improve group decision-making and improve performance. Furthermore, many fund companies believe that improving diversity will resonate with young people, who are a significant target group for increased deposits for the fund industry. 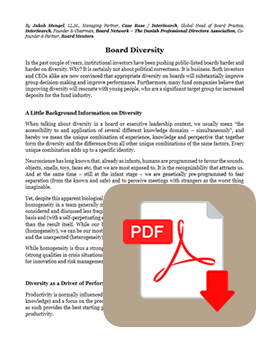 When talking about diversity in a board or executive leadership context, we usually mean “the accessibility to and application of several different knowledge domains – simultaneously”, and hereby we mean the unique combination of experience, knowledge, and perspective that together form the diversity and the difference from all other unique combinations of the same factors. Every unique combination adds up to a specific identity. Neuroscience has long known that already as infants, humans are programmed to favor the sounds, objects, smells, toys, faces etc. that we are most exposed to. It is the recognizability that attracts us. And at the same time – still, at the infant stage – we are genetically pre-programmed to fear separation (from the known and safe) and to perceive meetings with strangers as the worst thing imaginable. Yet, despite this apparent biological imperative, when it comes to “real life” and specifically business, homogeneity in a team generally means that we do less and poorer research, that alternatives are considered and discussed less frequently, that our decisions are made on a relatively less informed basis and (with a self-perpetuating effect) that the sense of group affiliation becomes more important than the result itself. While our basic instinct will normally drive us towards the recognizable (homogeneity), we can be our most productive and efficient when we are dealing with the unknown and the unexpected (heterogeneity). While homogeneity is thus a strong foundation for resoluteness, security and the ability to execute (strong qualities in crisis situations), heterogeneity, on the other hand, provides the most solid basis for innovation and risk management. Productivity is normally influenced by two factors: specialization (i.e., the concentration of domain- knowledge) and a focus on the predominant domains. It is the complementarity that is critical and as such provides the best starting point for a high coefficient of utilization and thus a high level of productivity. Innovation depends on the “invention” of new knowledge domains as well as on a continuous development of the existing domains – and not least on a variation of the applied domains. This forms the foundation for both exploration and utilization – and hence also for innovation. Why is all of this particularly relevant and important when talking about boards? Because boards are like the national football team; they do not train together on a daily basis but only meet to play the important matches – in other words, when they convene for the board meetings. Hence, you cannot improve board effectiveness in the same way that you would normally try to improve employees and management teams. However, researchers have often, despite very clear findings of a correlation between greater diversity and better return on equity (RoE), been unable to find proof of causality. It has often been mentioned that numerous factors could all have impacted the research results (including differences in the state of the market between compared years of financial results, differences in size of company research objects or in differences in industry dynamics when comparing results from companies in different industries). However, a number of companies and organizations have, over the past 10 years, managed to establish and document in a number of international studies that RoE is, in fact, higher for companies with heterogeneous boards and executive management teams. These studies all come out of hard- facts-focused organizations and companies such as McKinsey & Co, IMF, BlackRock, State Street, Boston Consulting Group, Credit Suisse, Catalyst, Nordea, Copenhagen Business School and MSCI. To highlight the results of just one of them – with a very high number of data entries – MSCI ESG Research in November 2015 found that companies with a large share of gender diversity (i.e., more women) in their executive teams and/or their boards would generate a yearly RoE of 10.1% compared to 7.4% for the companies without such a level of diversity. The study had numbers from 4,218 companies worldwide in total. Women held 17.3% of all directorships at MSCI Index companies as of October 2017, up from 15.8% last year. Among Developed Market MSCI World Index companies, women held 20.4% of all directorships (up from 19.1%), with women at US companies holding 21.7% of directorships (up from 20.3%). Women held 10.2% of board seats at MSCI Emerging Markets Index companies (up from 9%). Over a fifth of the 2,451 MSCI Index companies still had all-male boards and nearly all still had majority male boards. Seven companies had boards that were majority female, with another 21 divided exactly 50-50. The majority of companies whose boards had at least three female directors were based in developed Western markets. The majority of those with all-male boards were based in Japan, South Korea, Taiwan, Hong Kong, and China. In several but not all European countries, there were no longer any MSCI Index companies with all-male boards. Among sectors, information technology was a laggard with 28.5% of companies having no women on their boards, and only 18% had at least three, while over 40% of utilities and financial companies had at least three female directors. Over the past few years, 43% of all boards have changed their composition due to a greater focus on diversity, and of this 43%, two-thirds all changed to have more women on boards. Half of all respondents express with certainty that greater gender diversity is to some or a large extent value-adding to any board, and another 31% said that it could potentially be value-adding depending on the situation. 73% of female respondents support gender quotas, while this is only true for 31% of the male respondents. So why is it that while some of the most trustworthy and respected companies (e.g., McKinsey & Co, BlackRock, State Street, Boston Consulting Group, Credit Suisse, Nordea and MSCI) find a clear correlation between the financial and operational performance of companies on the one hand and a high level of gender diversity on executive teams and boards of directors on the other that the board directors themselves hesitate to acknowledge this? It would seem that the push for diversity has created discomfort for some (male) board directors. Through many conversations with board members over the past 20 years, I have learned that the vast majority of directors are not opposed to increasing diversity on corporate boards. However, many directors simply believe that business and professional skills have a greater influence on positive board performance and outcomes. Yet the push for board diversity is now part of the permanent landscape facing directors that may result in disruptive disputes. Under these circumstances, the best course of action may be to accept reality, be practical, and fully embrace board diversity. At a minimum, directors should be ready to have a conversation with investors who want to engage in board diversity. Investors will point out that there are many qualified women and minorities for particular industries. And let me add if you do not have such individuals on your list of potential candidates, you are simply not looking in the right places or using the right recruiting channels. The OECD has found that the growing awareness of the under-representation of women in leadership and their key contributions to business has led to increased efforts to improve gender balance at the top of companies. Governments, shareholders, investors and companies have established measures to attempt to close the gender gap through boardroom quotas, regulatory reforms, disclosure, targets and other tools. The revised G20/OECD Principles of Corporate Governance 2 provides a non-binding reference for policymakers to build effective corporate governance processes. It recommends considering “voluntary targets, disclosure requirements, boardroom quotas, and private initiatives” to improve gender balance on boards and in senior-level roles. Further, the OECD Guidelines on Corporate Governance of State-Owned Enterprises 3 encourages the ownership entity to consider the OECD recommendation on gender equality.4 It recommends that jurisdictions encourage measures such as voluntary targets, disclosure requirements and private initiatives that enhance gender balance on boards and in the senior management of listed companies and consider the costs and benefits of other approaches such as boardroom quotas. Countries in favour of quotas support the idea that what gets measured gets done. A higher percentage of women on boards can be seen in countries where legal requirements have been passed or are being considered. In 2003, Norway adopted quota legislation for corporate boards and, following the introduction of sanctions, has 39% women on boards in 2017. Since then, some countries have followed suit. For example, the share of women on boards in France grew from approximately 10.7% in 2009 to 33% in 2015 following a quota in 2011, and in Italy, from 8% to 26% after legislation was passed in 2012. The impact of India’s legislation requiring one woman on listed company boards in its 2013 Companies Act is yet to be determined. Representation of women more than doubling – now 26.1% on the top 100 boards and 19.6% on top 250 boards. 550 new senior women appointments. A dramatic reduction in the number of all-male boards – 152 across top 350 in 2011, now no all-male boards in the top 100 and only 16 in the top 250. The new Davies’ report also sets a new voluntary, business-led target of 33% for the top 350 companies for women’s representation to be achieved in the next 5 years. Sweden’s OMX, the Australian Securities Exchange, Canada’s Ontario Securities Commission, New Zealand Exchange and Hong Kong Stock Exchange Limited now require companies to disclose gender balance policies and data on women on boards under a “comply or explain” regulation. Japan is set to fill 30% of all leadership positions with women by 2020 and requires listed companies to disclose information on the number of women board members. Furthermore, some countries have established specific awards aimed at women and companies. For example, Australia set up annual company achievement awards in six categories directly measuring gender balance and advancement initiatives. 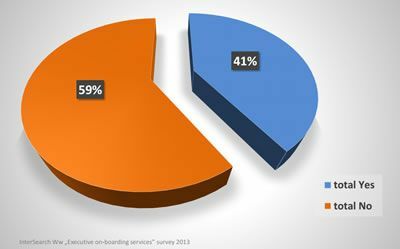 What Should Boards Be Doing Now? By nature, boards are cautious and have been hesitant to adopt formal policies on diversity as well as to establish formal diversity committees. Many boards try to have it both ways, publicly endorsing board diversity while declining to adopt a formal diversity policy. Clearly, this approach will no longer be sufficient to satisfy investors, considering the public announcements made by, for example, BlackRock, State Street and CalPERS. Going forward, adopting a board diversity policy will be encouraged by investors and considered a best practice. The chair of a board’s nominations and governance committee should lead the committee, with the input of other directors, in creating the board’s diversity policy. Two elements that investors will look for in reviewing diversity policies are 1) an annual report on the effectiveness of the diversity policy and 2) detailed disclosure of the current diversity characteristics of the board. Further, in connection with the annual board evaluation, boards should consider disclosing – through a matrix approach or a narrative – each board member’s specific skills and experience, as well as their background, including gender, race, and ethnicity. This type of disclosure offers an opportunity to demonstrate each director’s qualifications – highlighting skill sets and diverse perspectives – and thereby thoroughly satisfying the majority of investors’ expectations of disclosure and transparency on the subject. In addition, the following countries and jurisdictions have various quotas for state-owned companies: Colombia, Greece, Ireland, Kenya, Quebec, Slovenia, South Africa, Switzerland, Taiwan. 1 ^ See Olsen, Walker & Ruikert, 1995; Keller, 2001; Ancona & Caldwell, 1992; Rothaus & Justesen, 2011. Founder & Chairman, Board Network – The Danish Professional Directors Association, Co-founder & Partner, Board Mentors. 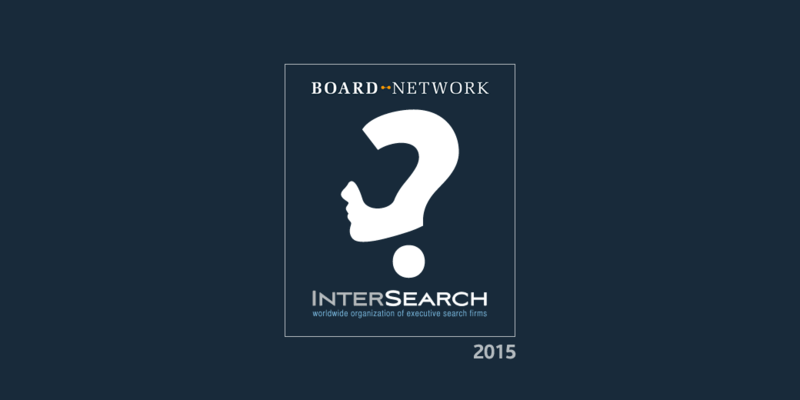 InterSearch Worldwide is a global organization of executive search firms consistently ranked amongst the largest retained executive search practices in the world. InterSearch is currently operating with over 90 offices in more than 50 countries. 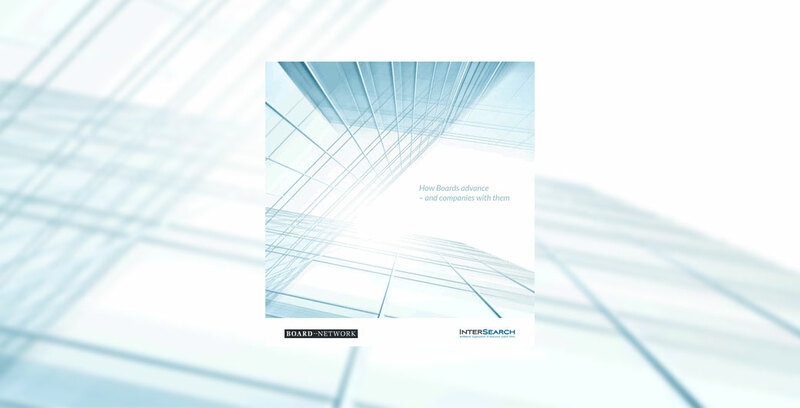 Established in 1989 in the UK, InterSearch prides itself on carefully selecting the best executive search firms to partner as a member of a global entity with high integrity, transparency, and depth of experience. InterSearch prides itself on having a global reach but local impact. For additional information, please visit www.intersearch.org.